ASIAN CONFEDERATION – one step ahead! 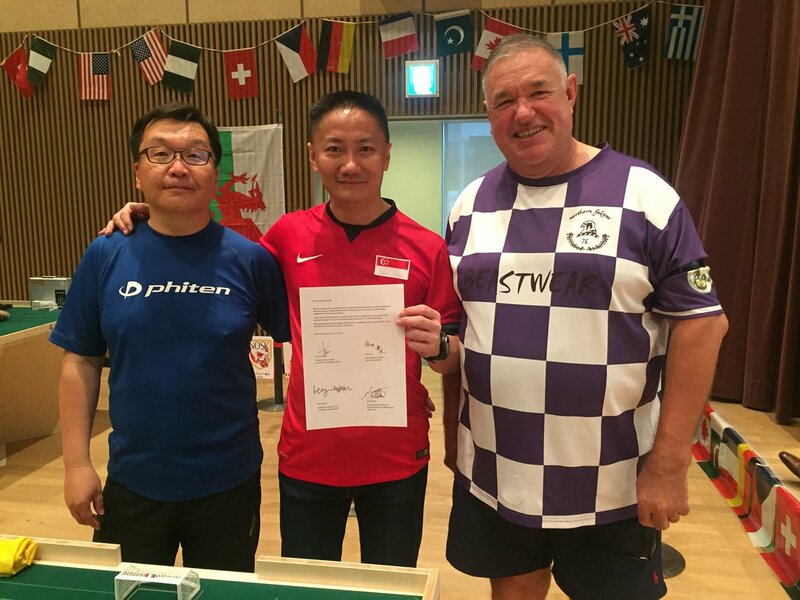 Last week-end, Australia, Japan and Singapore founded the Asian Confederation of Table Football. as part of FISTF, it will manage, run and develop the sport in Asia. Next big organisation will be the Asian Cup 2018, to be held in Melbourne in January, then every other year! This entry was posted in Player News. Bookmark the permalink. ← 39° GP Natale Milano…Nastasi beats Amberny !